Before you start looking for a job, make sure to choose the right direction first. I know a lot of you are going to disagree with me here but I think job searching has never been this easy. Imagine, job seekers now enjoy the benefit of having each and every possible tool to use to make job searching much easier and efficient. 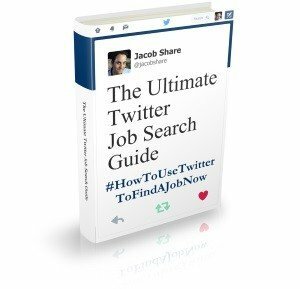 Plus, we have awesome job search tips sites like JobMob to further help us fine-tune the way we do things. Finally, add all those professional job tip websites and blogs that are constantly giving us handy tips on how to present ourselves during interviews, what to say when asked a certain type of question, what to do when confused and all those things that will help us land that job. Seriously what more do we need? Most of these things didn’t exist in the era of our parents and for us to be able to have those is a big help. With that in mind, I realized that the success in finding a career or job doesn’t just lie on trying to find one but rather on how one will determine what he/she thinks is a good job or career. This whole freelance work-from-home thing is growing into crazy proportions. Tthe truth is most people nowadays prefer to just work from home due to various benefits like flexibility, less expenses and being close to the family. Now if you’re coming out fresh from college, I can read that you at least have an interest in it. If not, then good but I hope you see the point here. The first factor to consider is do you want to do it the normal way or the new way? I understand that this doesn’t apply to every field but if you are considering it, then you may want to decide yourself what you really want. I work in a company where we don’t have any dress codes. With that, I can wear whatever attire I want to depending on my mood. We also have a very casual environment wherein we can talk loudly when we’re idle and we don’t ‘corporately’ reference to each other as ‘sir’, ‘ma'am’, ‘Mr.’, ‘Ms’. Obviously it doesn’t apply to every company. I know you’re thinking that this is a very trivial factor that shouldn’t be even considered but I beg to differ. I’ve talked to lots of different people and I got the conclusion that what you wear can ‘somehow’ greatly affect the way you work. Yes, and we’re not even talking about the environment yet. Me and my friends who have jobs themselves agree that it’s hard to be productive when you’re not into the environment of your work. And it’s hard to excel if you’re not showing any productivity. Of course people can always adjust but how many people can actually do it over a long course of time? Very few. Most of the time, we want to get a job that would last forever. However, there are some people that do want to get one BUT at only for a certain period of time. You know what I mean? It doesn’t just apply to entry-level job seekers, it applies to middle-management types of people as well. Some people do it just for the pure enjoyment especially for those people who are on the latter stages of their career, while others believe in the importance of not getting burnt out. People’s reasons vary but for you it’s important to carefully think this out. Remember that it doesn’t end when you find a job. It’s a continuous process that you will have to dwell on for the most part of your life. As with every other factor, this applies to all types of job seekers as well. Job seekers value themselves differently and the most common dilemma is the way they perceive how much they’re worth as compared to how much value the company places on that certain job position. There’s always an incongruity with that. The resolution is that either or both sides will need to make adjustments for it to work. I know lots of people who have taken marginal pay cuts on their usual compensation but still accepted the job just because of how they think its fun to them. On the flip side, some people take higher paying jobs more than the ones they think they would enjoy because they value money a lot. 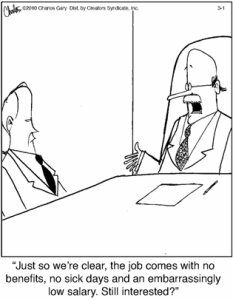 Whatever it is, it’s clear that it's one factor that you have to carefully look at even before starting your job search. There’s really no way to determine your own worth rather than with your own assumption and how you perceive it. So those are the four key factors that you have to consider first even before scouring the internet and newspaper for jobs. It’s not like all of them have to match, but it all boils down on you on how you place emphasis on each of them and connect it to your overall career plan. There’s a good chance there’s something here that you are greatly disagreeing with. Or maybe there are few more things that you think must be included in the list. Whatever it is, let me know through the comment form. Melvin Dichoso is an internet marketer and blogger who shares his stuff at MelvinBlog Dot Com. You can follow his rants on Twitter or add him up on Google+, or you can do both. If you want Melvin Dichoso to win, share this article with your friends. If you liked this article, you'll also enjoy How To Find The Right Company for You. 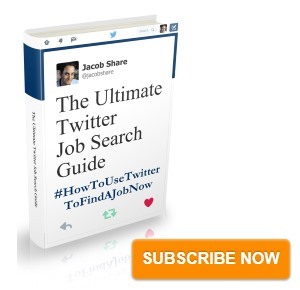 Subscribe to JobMob via RSS or email and follow me on Twitter for more ideas on finding the right job for you. I agree with your 4 points however it cannot be the case for everyone. Like for fresh grads, what they need is experience so determining what the ideal situation for them might hinder them from finding a job or they might not even land a job if they’re looking for the ‘perfect’ situation determined by those 4 factors. I also agree with Elan above. One perk can alone compensate for something that you don’t like. Also at the end of the day, we’re just all looking for a job so that we can earn money and support ourselves, our family. I agree with freelancing as I myself has a 9-5 job yet I take freelance stuff. As far as healthcares, I read an article on a magazine before saying that a healthcare benefit is not really as expensive and hard to get as what societies tend to hype up. I don’t know really about health cares but if that’s true then it can immediately be crossed out in the list. Well, may not be the case for everyone but I’m pretty sure its the case for the majority. 😉 As far as fresh grads, I cited an example above. You’re probably right but I think most of the college grads don’t really look at job finding as serious as what other people do. Yes, they’re looking for experience but then its still more of ‘exploratory’ stage for them as they’re still trying to gauge their real interest.